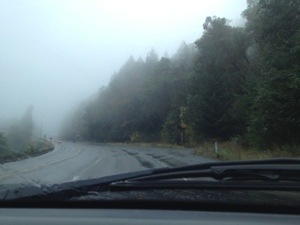 Heigh ho, heigh ho- it’s off to the ferry I go! 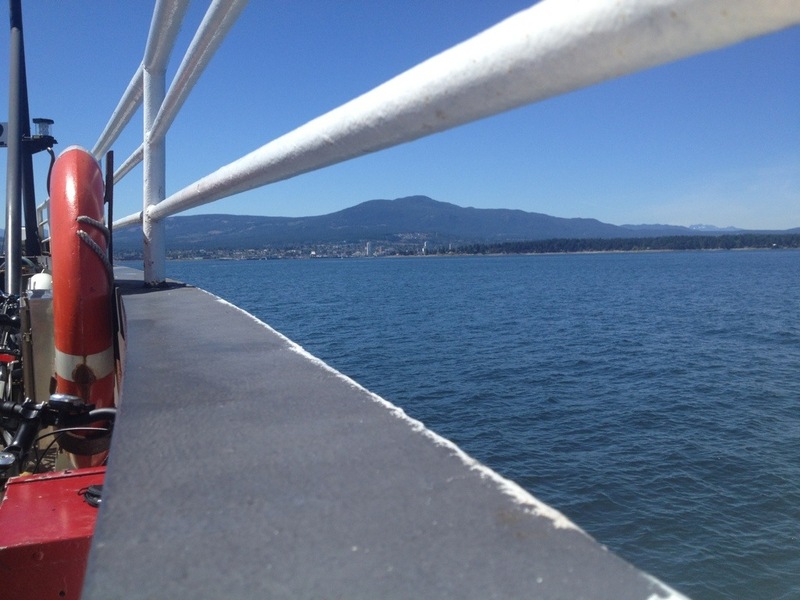 I’m stepping off my beloved tiny island to the bigish town of Nanaimo on Vancouver Island to put some tees in the mail. They’re headed to New Westminster, Ottawa and Abbotsford. A big thank you to all the new supporters who asked for and bought a Dorothy Tee or three! 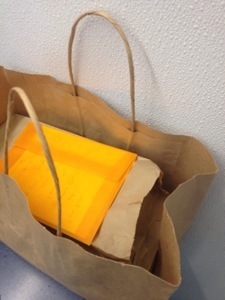 Super happy to be able to send these off at last. Yes, I'm going public with this story and need all the help I can get from Dorothy supporters worldwide. If you have an idea how you could help promote the campaign, do email me. And if you don’t know what crowd sourcing is, email me. Will write more about it in a few days and give you an idea of what you can do to help. Check the blog later as I will post some pics of all the action this afternoon. Hope all goes well. Stay tuned! I’m sitting on the edge of Pilot Bay, my home on Gabriola island, watching the high tide and choppy water push and play with two sailboats anchored out in front of me. I marvel at the interplay of boats and water (even if they are only “plastic boats”) and am thankful as always for the joy Dorothy has brought to my life, personally and as a documentary subject. I could say I’ve always loved sailing, but it wouldn’t quite be true because until 2003, when I took time out for a serendipitous 5-month cruise aboard the Afterblue in the Bahamas and Cuba and back to Toronto, I’d never sailed at all. But as an avid reader from my childhood, I loved stories of boats, particularly Dove and The Voyage of the Dawn Treader in the Narnia series. There’s something about the unpredictability of adventure on the sea that makes every boat story a compelling one. 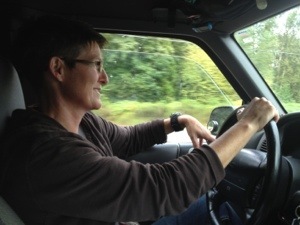 So I am thrilled every day that I get to work on the story of Dorothy, because every day is a true adventure with her. As Tony (the boatbuilder restoring Dorothy for the Maritime Museum of BC) was sanding down her port side hull last week, after tediously stripping the paint, we could see a potential story in every plank, and new questions arose about construction practices of the day: Her original planks are flat-sawn, not quarter-sawn like you would typically see today. Is that because of available wood at the time, or is there a technical reason for it? Those original planks were scarfed together – was that common practice rather than butting them end-to-end? There is a mix of materials used for paying the seams – lead putty, Portland cement, and even epoxy used for patches large and small – what’s the story here? Tony likens this unearthing of stories hidden in Dorothy‘s planks to an archaeological dig, and I would add that it’s a dig motivated less by cold scientific investigation than by human curiosity and empathy. This is not some inert, long-deserted dinosaur bone site, but a cherished family boat restored over and over again through the years by men and women who loved her and sailed her. Some had the means to give her the best in boat-building craftsmanship and the finest materials available of the day. Some simply did what they could with the tools and understanding they had, incomplete though they might have been. But no matter what finesse has been applied, it’s largely because of the heart, diligence and sacrifice of every single one of her previous owners that loved and cared for her that Dorothy can stand in Tony’s shop today, 116 years old and still able to handle a refit that will put her back in the water. Forgive my musings, I know you probably want more practical information on the restoration itself. But I promise you, I am capturing absolutely everything I can on film so you can see the wonderful process one day yourself! 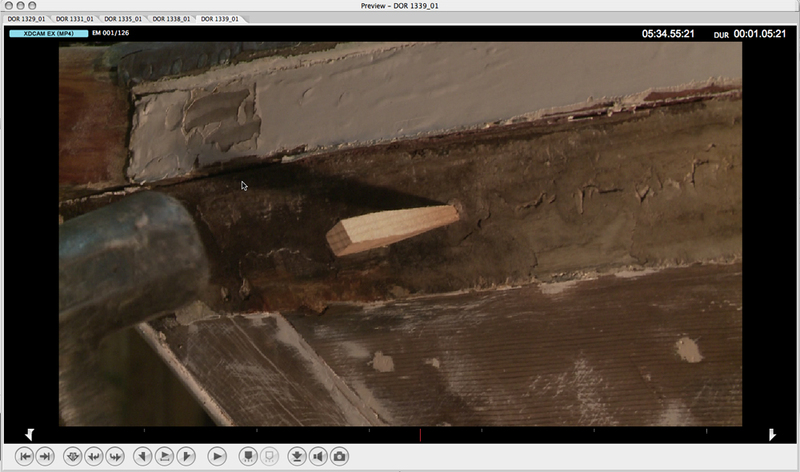 Here are some images from the sanding and paint stripping process that Tony undertook last week on her port side. This week he ‘s stripping and sanding her starboard side but no photos as I am filming it in timelapse and don’t want to mess up the shots!! 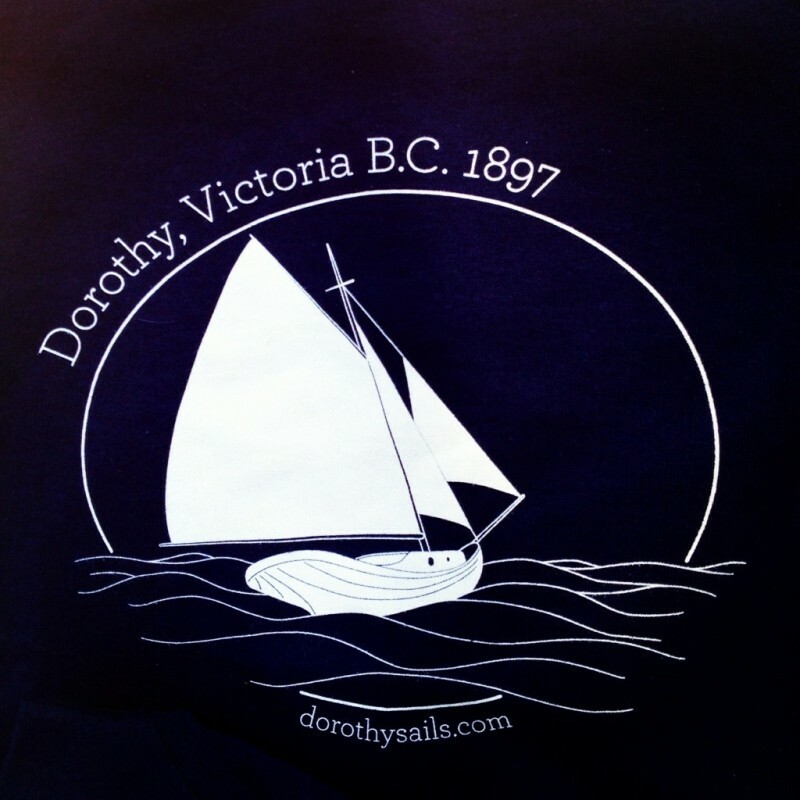 This beautifully designed, simple and elegant image of Dorothy has made its way onto T-shirts at last, and they are being snapped up by everyone who loves this beautiful boat. What do you think? I’m super excited and deeply grateful that so many people helped out with this first step in our campaign for production funding. Tony Grove, the restoration specialist working on Dorothy, is also a marine artist. He created an original illustration of Dorothy at sail that captures her gorgeous fantail (more of his distinctive artwork here: http://www.tonygrove.com/artwork/photo-gallery.php) Many thanks to Bryan McCrae of Filament Communications who rendered the image and added text, and Senini Graphics in Nanaimo who gave us a great rate and professionally silkscreened the tees. There are about 20 women’s tees (soft, Gildan cotton V-necks), and 20 men’s (Gildan cotton crew necks) remaining, both in Navy. 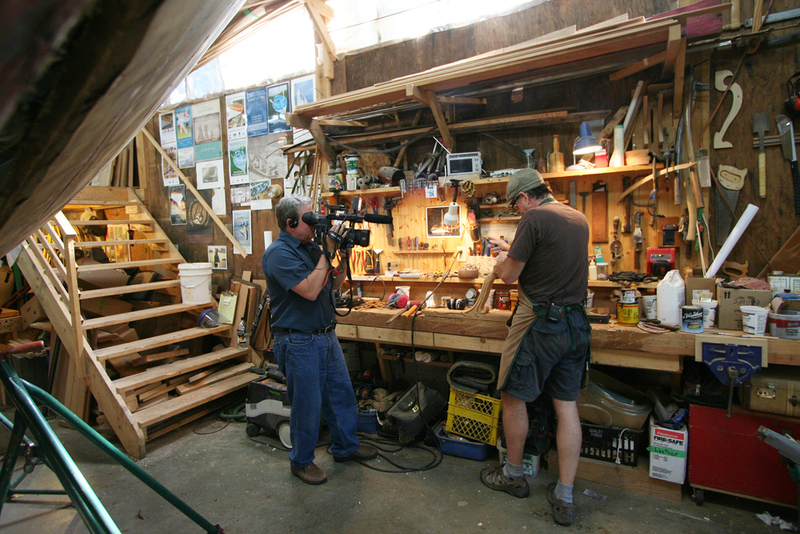 The suggested donation is $25, all of which goes directly to production costs for filming the documentary, Between Wood and Water, this summer and fall. For more info and shipping costs to a mailbox near you, email Tobi at dorothysails@gmail.com. We’ll be happy to send you one! For the Indiegogo campaign, we are partnering with From the Heart Productions in California, a great company with an awesome track record of funding and supporting independent films, which gives us a fiscal sponsor in the U.S. That means donations from the U.S. get their donors a tax write-off. Bonus! 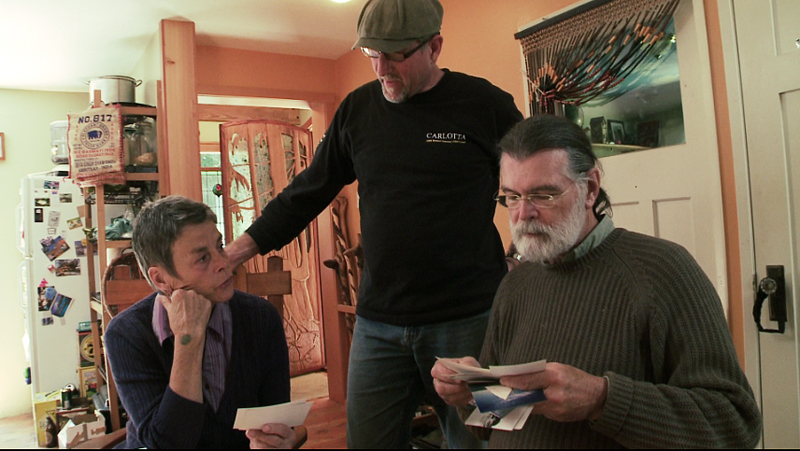 More than that, FTH President Carole Dean, who quite literally wrote the book on funding indie films, has been an invaluable mentor and asset in helping us reach our goal and get this documentary produced. More info on the campaign to follow, but for now, I encourage you to browse Indiegogo and check out the cool projects from around the world. There is so much creativity and heart out there! You couldn’t have asked for a better interview setting, or a better interview. 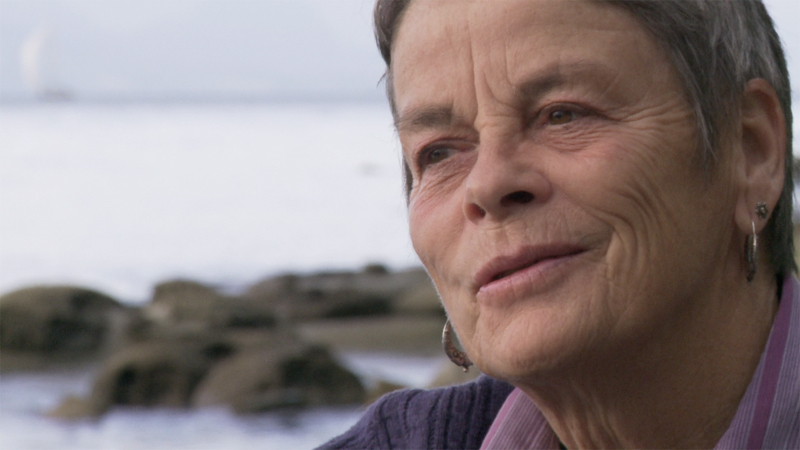 After a full day of filming two of our main characters for the documentary ‘Between Wood and Water’, all the stars seemed to align to allow us to finish with an absolutely lovely interview – both in the dialogue captured and the setting’s serene aesthetics that matched our subject’s mood and conversation. It was a 1-2 combo of the rare variety that makes a filmmaker’s heart sing! Although we had decided to get to know one another a bit before turning on the cameras, it was obvious the couple couldn’t wait to see their beloved sloop, so we plunged straight into it and attempted to capture what this vessel had meant – and still meant – to them. During the morning-long shoot, we followed David and Su as they sat in the cockpit and then the cabin, mulling over memories and comparing notes on changes in their beloved Dorothy. They both seemed to be lost in time as they stroked the tiller and siderails, hands falling automatically into position, and stood comfortably in familiar places, reminiscing over how powerful body memory can be. Dorothy had been part of their lives from 1984-1991. As a young, blended family growing up in Victoria, B.C. with the aim of family adventure on the water, the Baker-Russells piled into their shapely vessel nearly every weekend (up to 6 bodies!) and explored the Gulf islands of coastal B.C. Like her original owner, W.H. 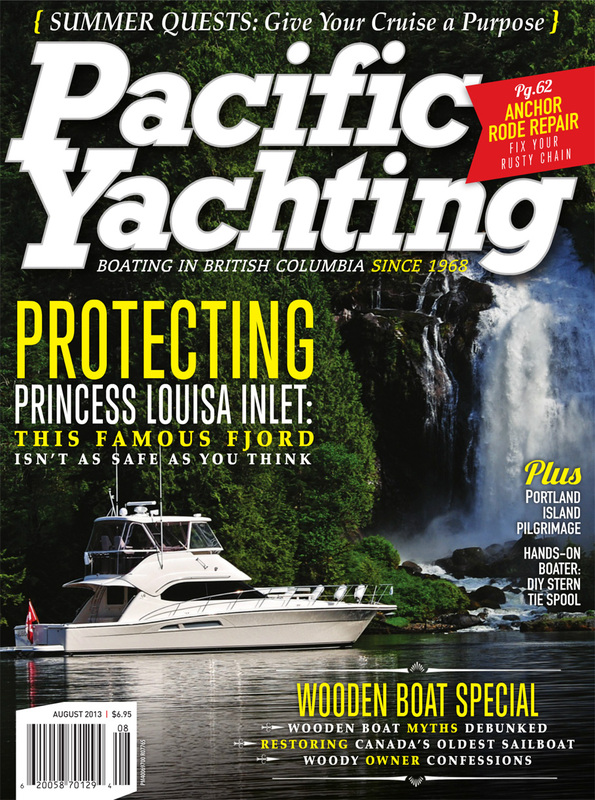 Langley, David and Su took full advantage of Dorothy‘s incredible sailing and cruising abilities– in part because she was in peak condition by the time they owned her, and in part because the Baker-Russells simply love to be on the water. They didn’t miss an opportunity to sail this historic boat. Following lunch (and lunch at Tony’s is not something to be missed!) we had a more leisurely shoot over some photos and personal memories. Then came an opportunity to indulge Tony and David at last in a true “man-chat” and dive into the particulars of her restoration. David and Su were the 3rd set of owners to continue a legacy of careful restoration begun by Chuck Charlesworth in the 1950s, after Dorothy was essentially abandoned by a series of owners (post-Langley) who didn’t properly care for her. Under their watch, she was brought to pristine condition, and the list of modifications and rebuilds that David and Su undertook is staggering (those interested can read the complete list of modifications and upgrades at the end of this post). David had essentially re-rerigged her, learning traditional steel wire splicing, parcelling and serving in order to get the standing rigging done authentically. 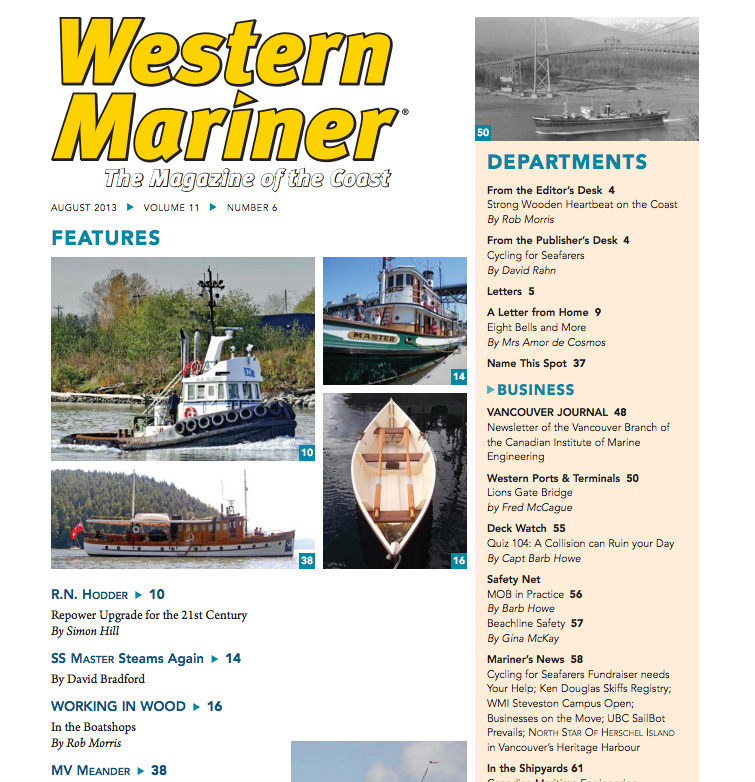 They replaced all of the running rigging, re-built the mast and boom, had a new fore hatch built, added winches for safety and sailing efficiency, and had Bent Jesperson make a new rudder and tiller. As a physician and academic, David’s attention to detail ensured that everything that could have been done to maintain Dorothy was duly accomplished, and she shone as the “oldest classic boat” at Expo ’86. Tony suggested that if David, (and Angus Matthews and Chuck before him) hadn’t taken such diligent care of Dorothy, she wouldn’t be around today. 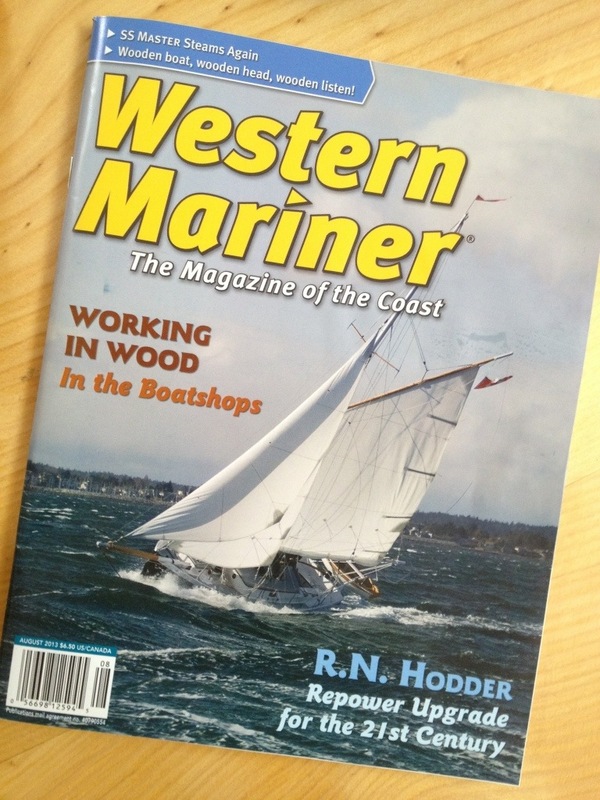 Wooden boats, as you no doubt know by now, need a lot of care and attention. As we surveyed the vessel that was once his pride and joy from keelbolt to tiller, David spoke movingly about how much he had enjoyed working on this boat of incomparable pedigree and such beautiful lines. Out of everything David said had to say about Dorothy, what impressed me most is that he really understands the purpose of sailboat design, and where boats can fall down on their merits. During our interview, I learned that a sailboat can be built to race well, or to cruise well, or to look pretty, but rarely do they combine form and function and do all those things well. And Dorothy, needless to say, does. And then, the icing on the cake at then end of a successful day: as the sun’s shadows stretched and stretched across the lovely, quiet bay on Gabriola island on Solstice eve, the water lapped quietly at our feet as Su and David spoke movingly about how much Dorothy had meant to them. The setting was so magical and their words so perfectly evoked the emotions of what Dorothy meant to them, and should represent, as a historical living vessel, to the rest of B.C. 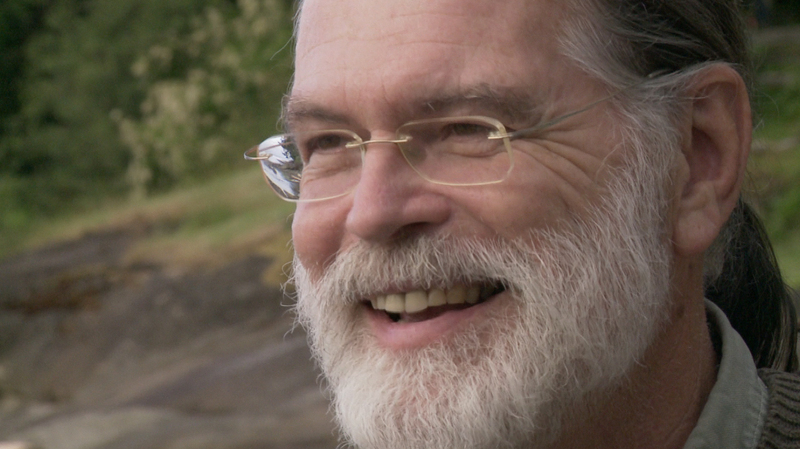 – and indeed all of Canada – that I will save what was said during that special interview for the film. I’m sure much of that interview will make the final cut. 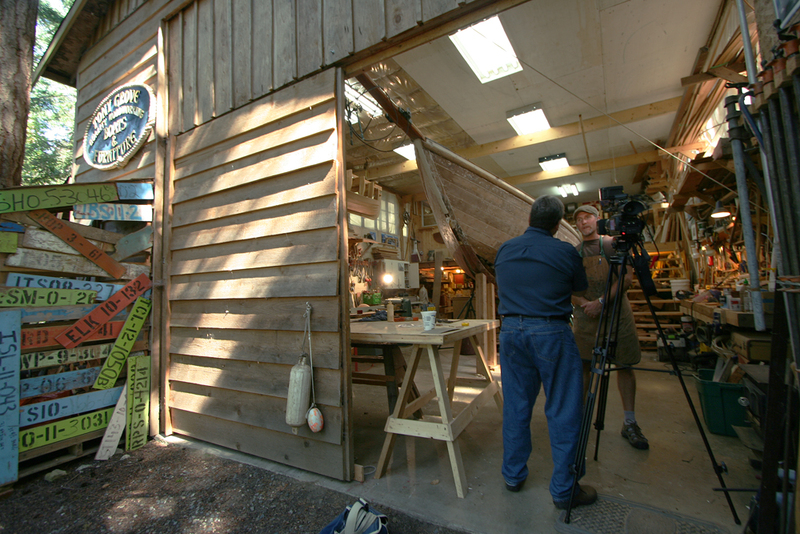 On a personal note: aside from the moment I first discovered Dorothy behind Tony Grove’s shop on Gabriola island back in October 2012, and got that shiver of excitement that means you’ve found a really great story, this day has been my personal favourite in the story so far. It confirms my belief that Dorothy is indeed a special, lucky little sailboat who has an amazing ability to draw the most wonderful people to her. And perhaps it’s the other way around, too. Maybe those who connect with Dorothy are bettered by their love of her, and left changed and somehow beautified as a result. 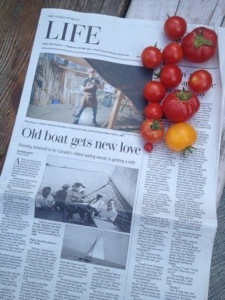 In any case, everyone that I’ve met who has had anything to do with that lovely boat has been instantly a heart-connection. I’m left very thankful that we have the opportunity to tell this story, and as the details line up and the stars shine down on us, it confirms to me that this is indeed a story for our time. had a new forehatch built, added a second bow roller and had two mushroom vents added in the stern to aid in air circulation. 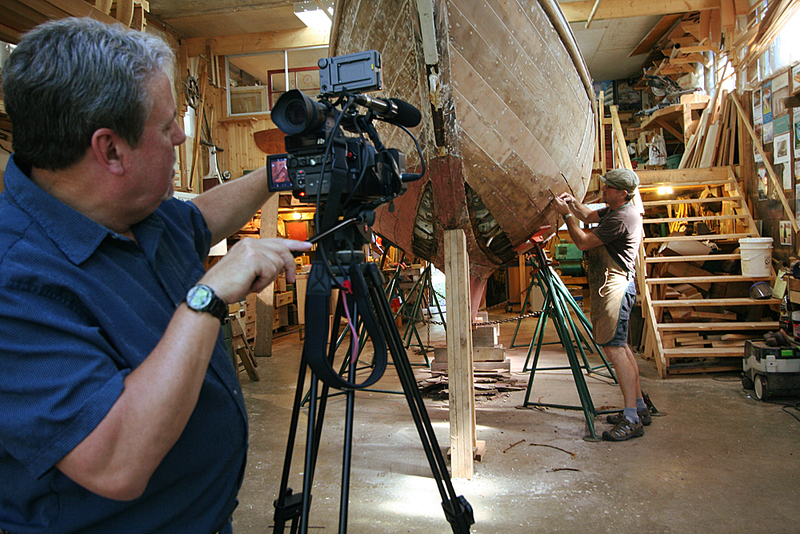 Between Wood and Water – the documentary about the restoration of Dorothy, B.C.’s oldest and most beloved sloop – has attracted support from the National Film Board in the form of a filmmaker’s assistance grant!!! I heard that competition for the grant was particularly stiff this year, so the news is extremely heartening and we are well chuffed (English term) that a jury of Canada’s internationally esteemed film institution believes the Dorothy story is important. We thought so too! The amount of money is not huge, (about 5% of what we need to complete production), but every little bit helps, and we are extremely grateful to the NFB for selecting this project. 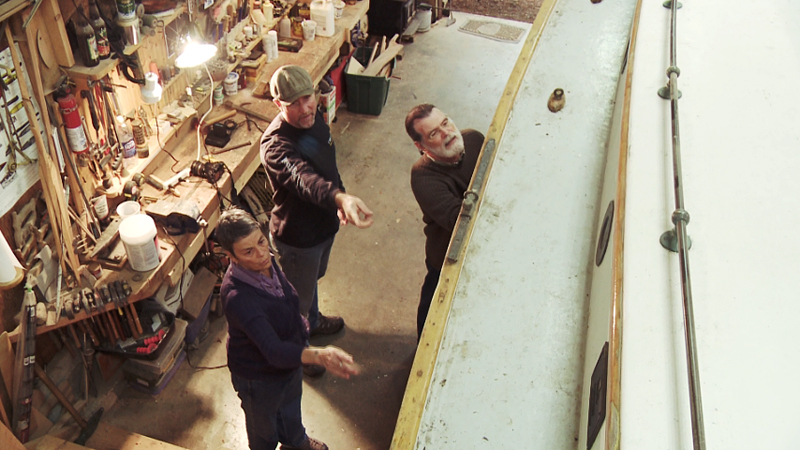 Sanding Dorothy’s hull will be an arduous, dirty, dusty job, but the end, will result in the revelation of her beautiful wood, those ancient cedar planks that have stood the test of time. This very wood is what inspired me to pursue this story: the enduring relationship between wood and water. Asking for money and running a fundraiser is not going to be particularly easy, either. But I know we have a great team to produce a great film, and so in the current climate of my industry, I have to be brave and find people and organizations to contribute. And this will result in relationships and connections to will last a lifetime, and I will be only one of many who can say “I produced a film” – because we ALL produced this film! It’s in this spirit of collectivity that many of the successful films are being made today. The usual administrative hurdles remain to be overcome. As a production company, I may not actually be able to receive “gifts”, so one workaround might be simply to sell goods of varied pricing. 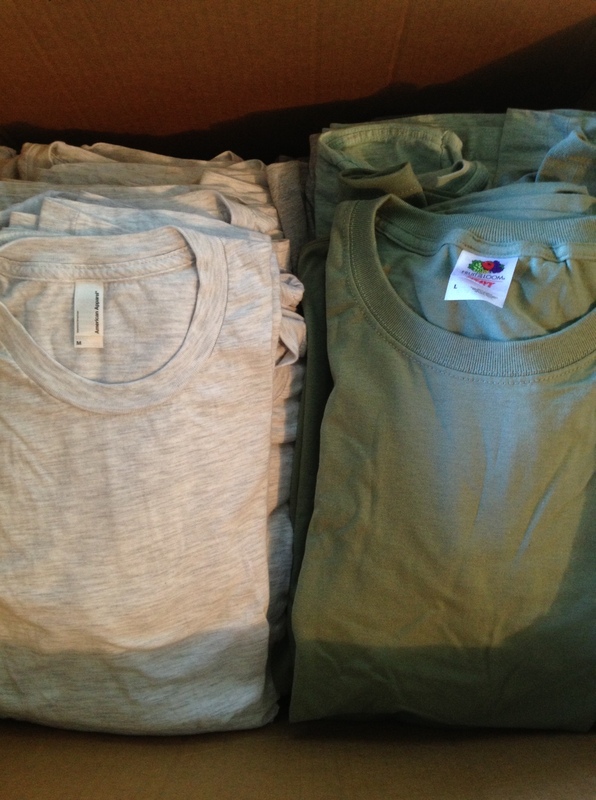 (Coming soon: Dorothy T-shirts ranging from $25 – $200!) Hopefully I’ll have things worked out by next week, so those of you who have expressed interest in donating, thanks for your patience. But when I think of the end result, I know it’s going to be worth it. 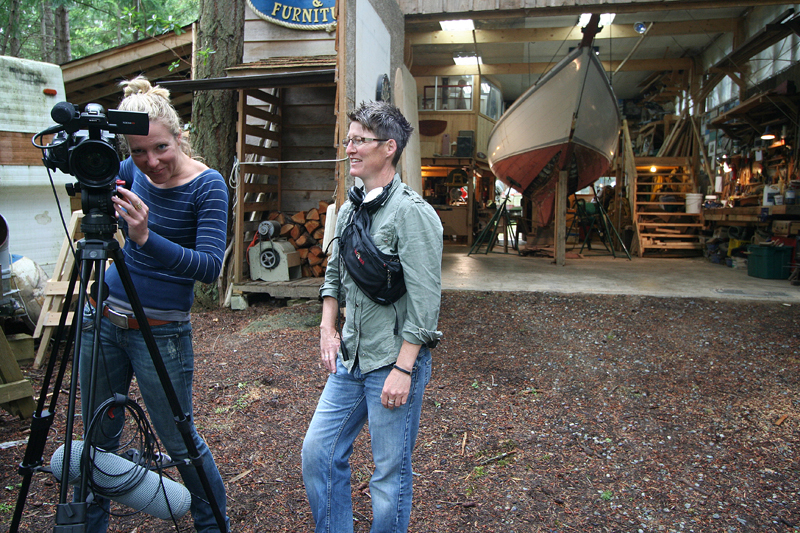 We will have a film that speaks for those who love British Columbia’s maritime history. It will convey the passion of those who sacrifice so much for the vessels they love – wooden or otherwise. It will highlight the work of a wonderful contemporary artist – Tony Grove, and the art of boat restoration. It will promote the work of the B.C. Maritime Museum in Victoria, which is home to Canada’s largest library of nautical archives and has been keeping the maritime flame lit for over 40 years.